As for the heating element and the sensor, DGH series is sealed by the capsule of quartz glass. Therefore, neither heating element nor sensor touches heating gas directly. 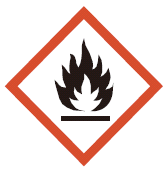 Dust, such as an oxide generated from these, does not mix in heating gas. 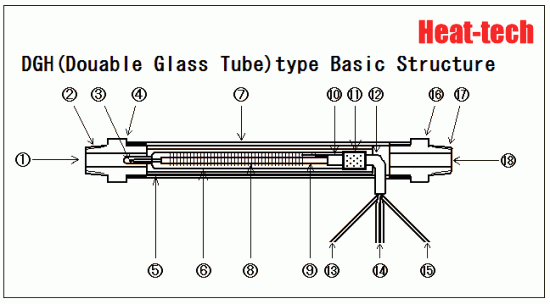 Heating element is the system which heats passage gas through a quartz capsule. Heat transfer efficiency is more inferior than ABH type. Therefore, the highest hot wind temperature is about 500 ℃. This heating element should be used in oxidative atmosphere. Outside air is supplied by respiration through the above “Heatproof rubber tube” in the capsule. 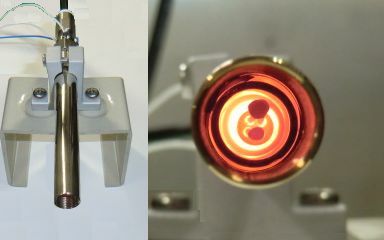 The pressure increase by the thermal expansion of the inside gas of the capsule is also missed through this rubber tube. 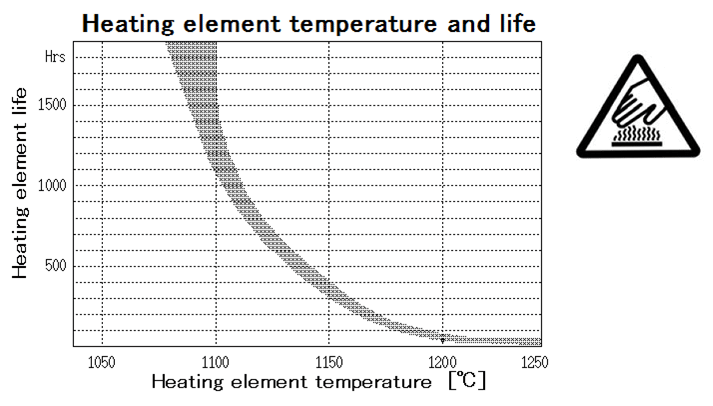 The setup of heating temperature should measure the heating subject directly. an operation monitor, carrying out it. The reproducibility of temperature is good. When heaters are exchanged, the heating subject is measured directly and operation monitor temperature certainly needs to be re-set up. 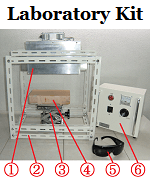 Standard items use type K thermocouple as temperature sensor. The small size of the heater can not use an enough thick thermocouple. The type of the metal pipe, φ8 case is use φ0.5 wire diameter, φ13 case is use φ1.0 diameter wire. On structure, since a temperature sensor passes along the center of a heating element, it becomes the same temperature as a heating element. In many cases, the life of a thermo couple still does not become a problem. When a ABH series is used hotly, the life expectancy of the built-in temperature sensor sometimes becomes insufficient. In such a case, please specify a built-in temperature sensor by R type (platinum system). The option symbol added to the model number is /+S (R).